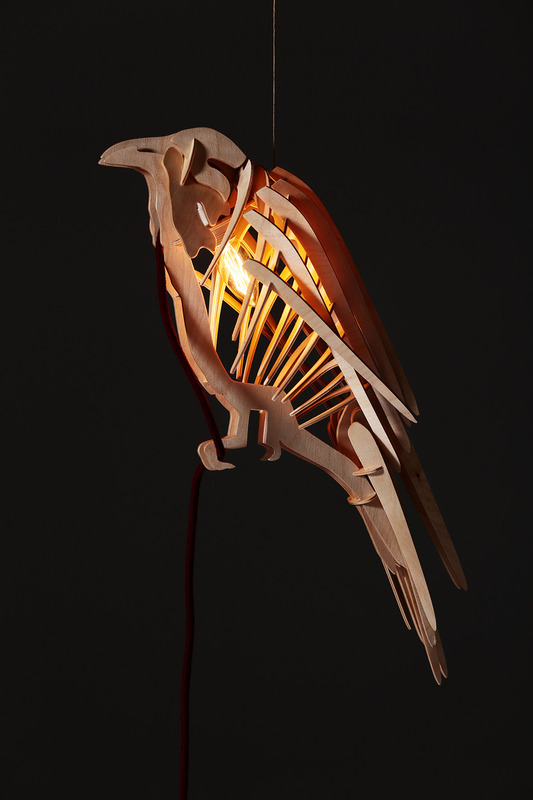 Hanging-lamp RAVEN offered by SVAROG Furniture is made out of thin betula plywood. This black and mysterious bird that through centuries and lands symbolized intelligence and knowledge and also witchcraft is now brought to your place as a source of light. 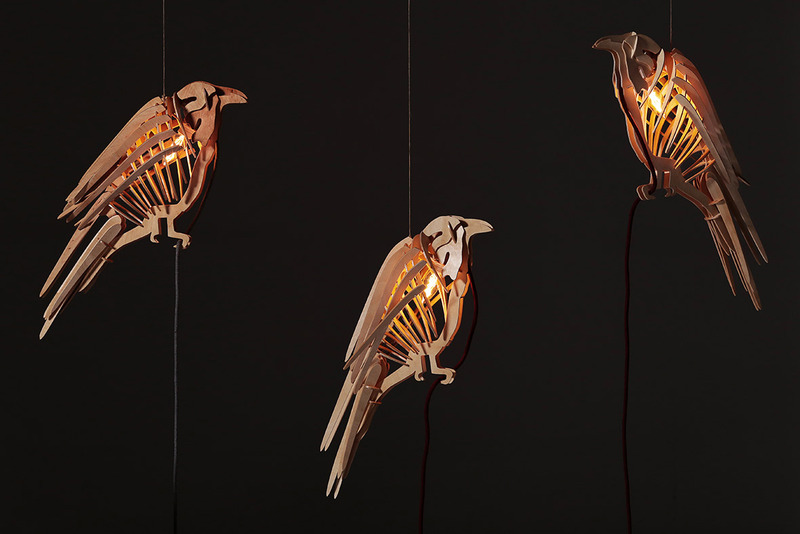 Its finely carved wings bring a ribcage-like pattern of light and shadows on the walls around. We offer it in two sizes. Regular makes a perfect fit to most places and is ideal for SVAROG Furniture TREE standing lamp. 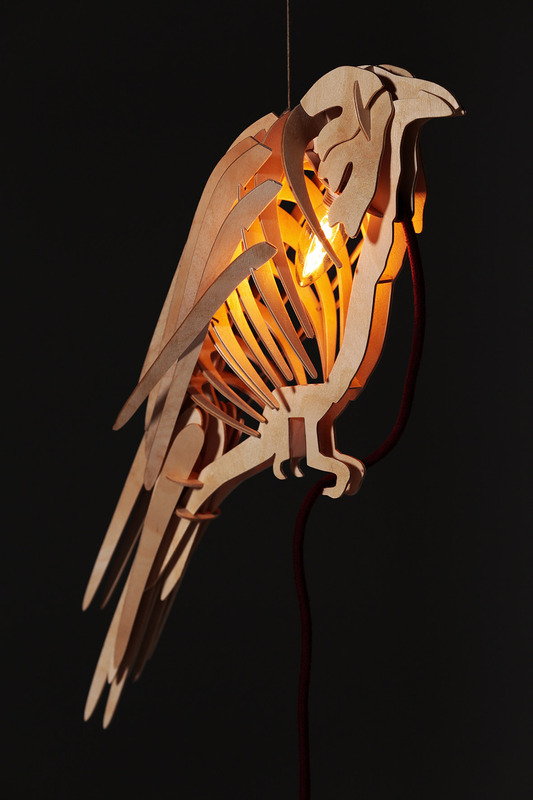 Natural matches the size of ravens in the wild and brings majesty to the place of your choice. 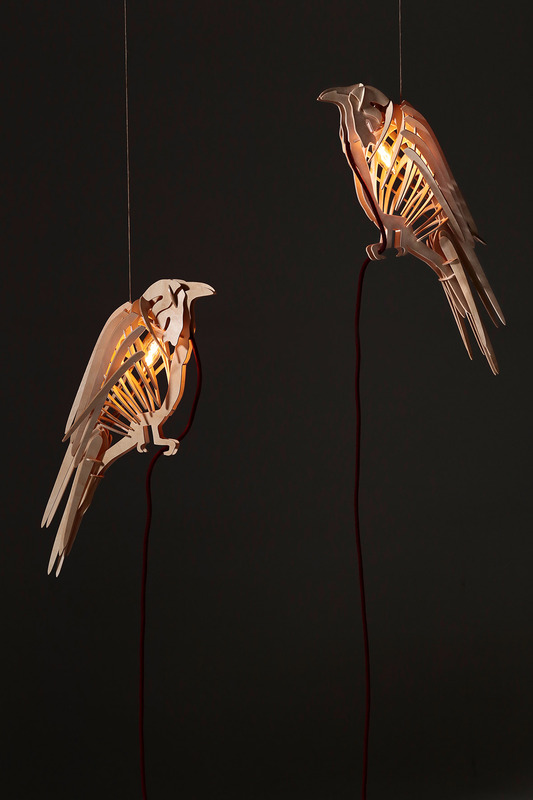 SVAROG Furniture RAVEN is always equipped with incandescent bulb with dim, ambient light of 15 Watts or a stronger choice of 25 Watts and braided cotton cable in grey or red. Svarog furniture finds its foundation in combining modern design idea and Slavic culture. The design derives its forms from the longing of world’s simplicity found in legend and fable. One of the most important event in the world of design – SaloneSatellite.